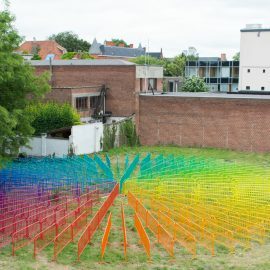 PLAY is a headstrong city festival from 23 June to 11 November 2018, that will take over the centre of Kortrijk with contemporary works of art. You can immerse yourself in the unique world of national and international visual art at diverse indoor and outdoor locations in the city. During PLAY, the city not only serves as a canvas; bit by bitt he festival simultaneously dissects our relationship with `play`. How does play influence our social behaviour? How does `play`reflect the evolution of our society? How important is play for our motor and cognitive development? Kortrijk is a playground and home for creative talent and is also a quality player in the Belgian cultural and arts landscape. A city with a generous dose of daring, sense of creative entrepreneurship and above all, the (play)room to experiment. 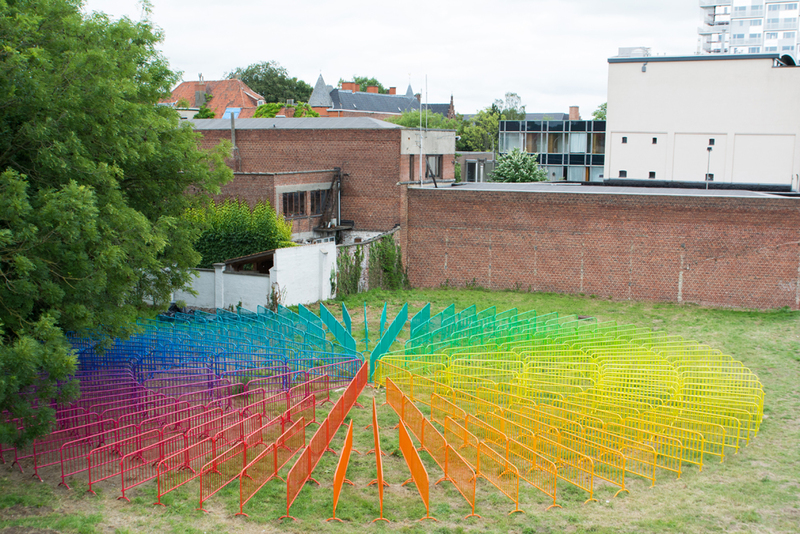 Kortrijk is growing, flourishing and above all, does not stand still. 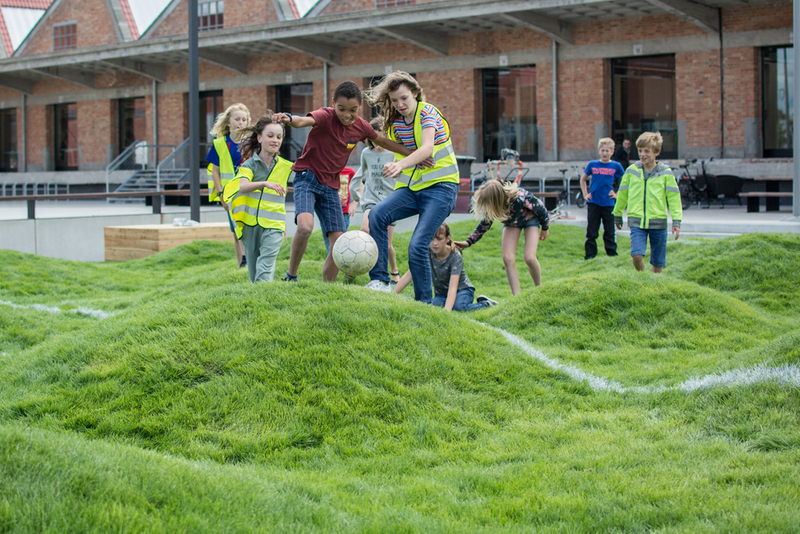 And it is precisely this continuous urban metamorphosis that makes the West Flanders city the dream décor for PLAY. Not only a breeding ground for regional, national and international talent, but also a springboard that offers opportunities. This unexpected creative melting pot carefully connects different disciplines such as art, design, education and entrepreneurship. In November 2017, Kortrijk became a member of the UNESCO Creative Cities Network, a collection of 180 world cities that use creativity as a lever for sustainable development. 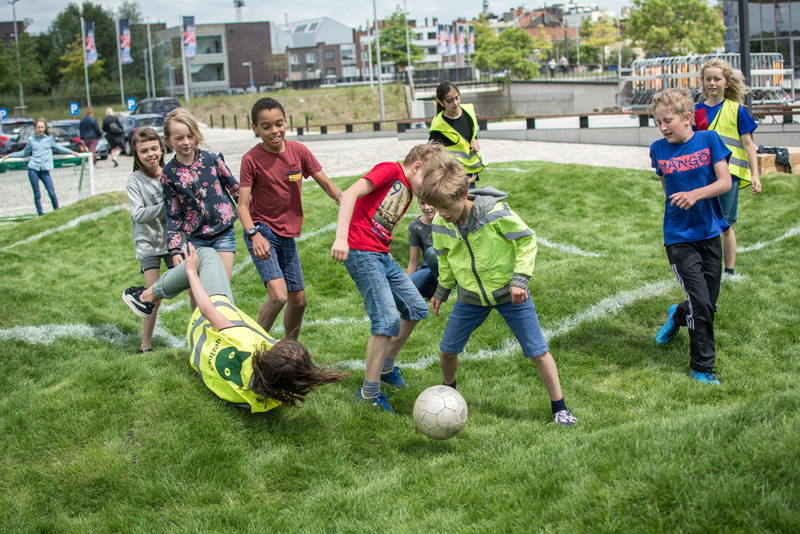 A year earlier, Kortrijk was officially named a child and youth-friendly city. 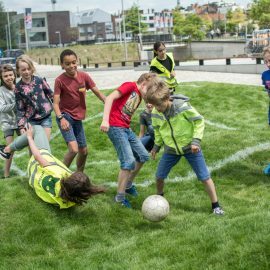 In order to obtain this label, the city – together with local young people – completed an intensive participatory process that examined what child and youth-friendly Kortrijk needed. 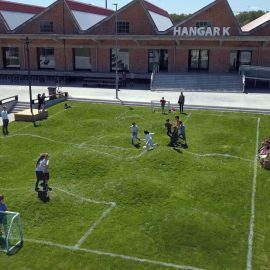 What’s more Kortrijk was chosen as European City of Sport 2018, thanks to the impressive range of sports it offers, the quality sports events it hosts and its large number of sports clubs. 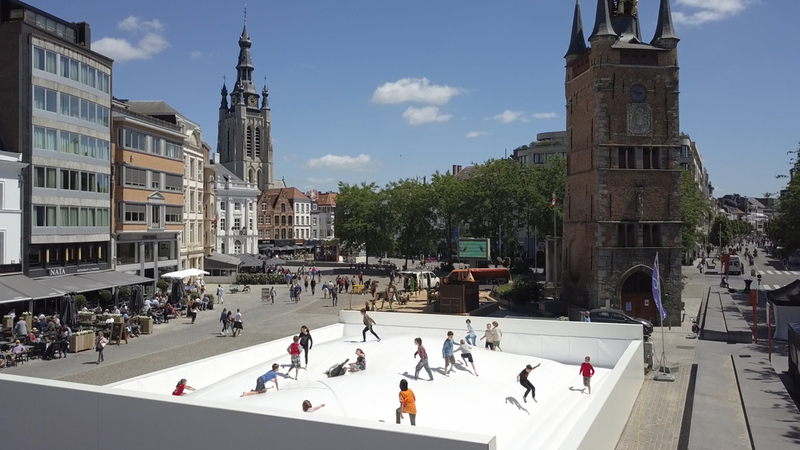 Kortrijk is a playground and home for creative talent and is also a quality player in the Belgian cultural and arts landscape. 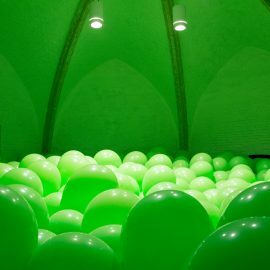 A city with a generous dose of daring, sense of creative entrepreneurship and above all, the (play)room to experiment. 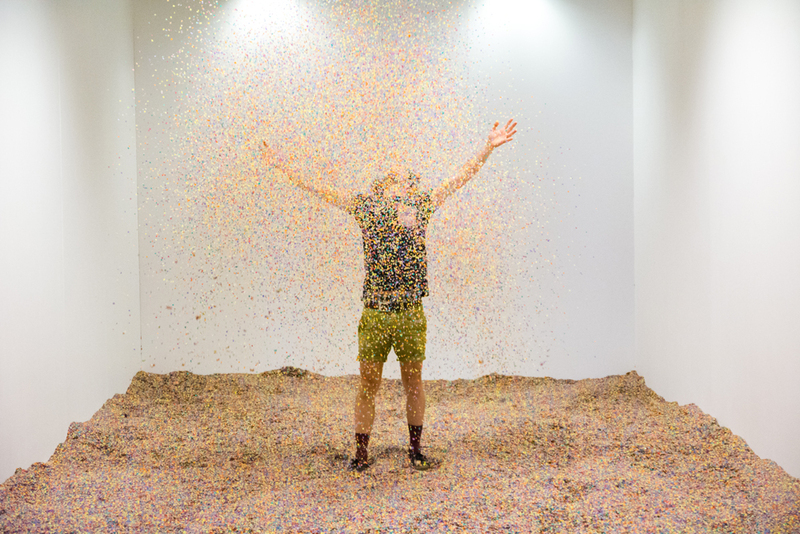 PLAY consists of more than 40 indoor and outdoor installations by national and international artists interested in the interactive aspect of art and the relationship between an artwork and the observer, the space and urban developments. 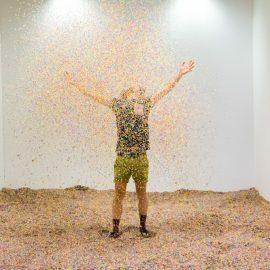 The city festival offers unique artistic experiences that give visitors the opportunity to reflect on their personal actions and to view human behaviour in a different light. The artists use humour and play to focus our attention on diverse social codes and subjective ideas about human behaviour. 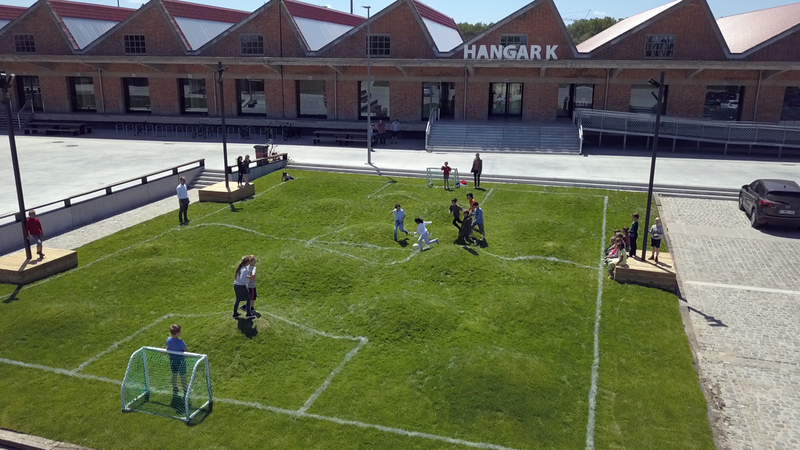 In recent years, the boundary between art and urban planning has blurred: both contribute to a positive transformation of the public space using play, involvement and citizens’ participation. 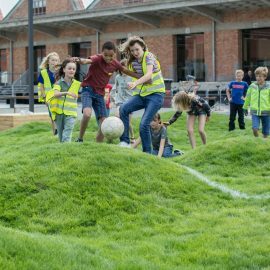 PLAY encourages visitors to discover, or rediscover, Kortrijk and demonstrates how the urban environment plays a leading role in our daily lives. 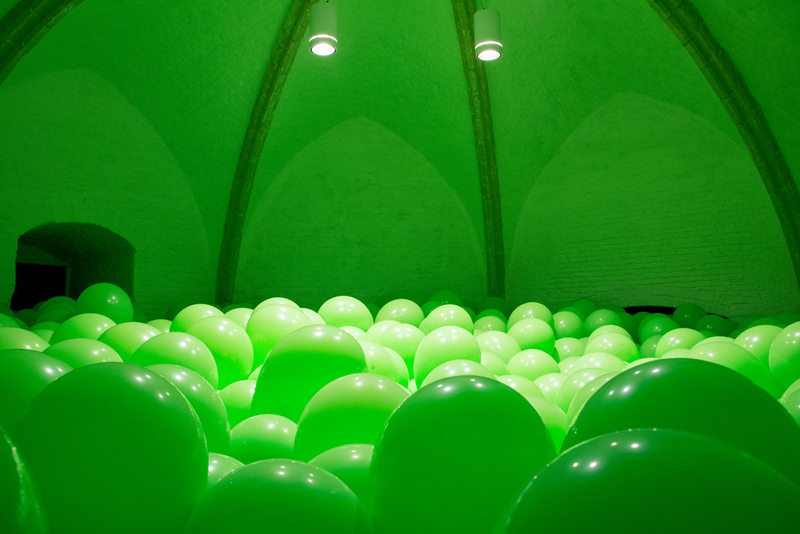 PLAY consists of an art route of installations with a powerful visual impact, many of which are also interactive. The aim is for the exhibition visitor to cast off his/her role of passive spectator and to share in an intense experience as a co-actor/ co-author/co-pilot. Visitors can also enjoy a selection of documentary films that examine the ‘play’ phenomenon from a humanist and scientific perspective.